Perfect for the new Bridge Mobile & even has cabled hookup for reporter! Preconfigured wireless travel (pocket) router kit for use with myView or Bridge Mobile! Just plug it in, connect and go - NO configuration necessary, we've already done it for you! The ZyXEL router includes 2 standard network jacks, one of which can be used to connect the reporter's system for additional reliability! Includes a USB 2.0 4-Port hub, just in case you want to use your computer to power this router but you don't have enough USB Ports. 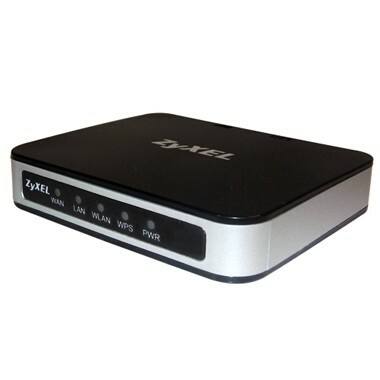 The ZyXEL MWR102 is the perfect travel companion for anyone who needs fast, easy wireless internet access on the go. Designed with a portable form factor that easily fits into a pocket, a laptop case, or the palm of your hand, it’s the perfect way to bring a wireless connection with you whether in the office or on the road. The MWR102 doesn’t sacrifice performance in favor of its portability. 2.4GHz wireless technology allows 11n data transfer rates of up to 150Mbps while still remaining compatible with older 11b/g devices. Because power outlets are often in short supply while travelling, the MWR102 can also be USB-powered (in addition to using a standard power outlet) to ensure convenient internet access anywhere. To provide the highest data security possible, the MWR102 supports WEP, WPA, and WPA2 encryption. It also comes equipped with firewall features like NAT (Network Address Translation), VPN pass-through, and SPI (Stateful Packet Inspection) to prevent attacks from the internet.